Attentive readers will notice that, for all the plaudits we've bestowed upon what we'll call the modern Los Campesinos! catalog, we've not actually reviewed said records. That lack of critical attention is inversely related to the great esteem in which we hold the records in question. Part of our absence of engagement with the long players Hello Sadness and Romance Is Boring -- each among our favorite records of 2011 and 2010, respectively -- is certainly related to lack of time, to be sure. But there is a larger reason: the aforementioned albums, as well as the we-refuse-to-call-it-an-album album We Are Beautiful, We Are Doomed, represent a sort of critical absolute; to a certain extent, if not flat-out perfection, they are certainly a benchmark against which all other records released in those years are measured. The Cardiff-based indie rock act's clever orchestration, terrifically sophisticated lyrics, impassioned performances, sweeping dynamics and powerful and palpable emotional impact, well, very few do it as well, and it would be hard to convince us that anyone does it better. Even so, while it is a remarkable and bracing collection worthy of similar consideration and accolades, none of the above is the first thing we think of when we listen to Los Campesinos!' latest collection No Blues. What we think about most often is that we can't believe the record almost didn't get made. Indeed, tucked into the band bio distributed to the press is the startling revelation that Los Campesinos! nearly called it a day prior to the making of No Blues. To whit, here's a quote attributed to guitarist Tom Campesinos! : "We'd spent a lot of time in the months leading up to recording deciding if we should continue with the band at all." This is a bottomless bummer, as it underscores that a day will come when there is no band called Los Campesinos! Not a surprise, sure, bands come and go, but the realization provides an additional slant to the lyrics "we all know we're gonna die, we're a speck of dust..." from the chanted chorus of the No Blues album cut "A Portrait Of The Trequartista As A Young Man." Of course, that lyric is probably about some English footballer, which is another reason we've historically been reluctant to analyze Gareth Campesinos!' lyrics in the "modern" era, as interviews repeatedly indicate -- and the aforementioned band bio emphasizes -- that his lyrics are just as likely to be about sport (OMG did MTV really use the phrase "bro down" in relation to Los Camp... ugh -- Ed.) than affairs of the heart. Indeed, the swaying ballad "Glue Me" includes the line "I'm diving into headers, put this pretty face where the boots are flying in," and, of course, "we connected like a Yeboah volley." But -- quite obviously, yes -- what makes Los Campesinos!' music succeed is what makes all music succeed: how it is perceived and received by the listener (whether or not that listener knows who Tony Yeboah is). They just happen to succeed more readily, as they stand head and shoulders above the majority of their contemporaries. Despite operating at that elevated level and making "serious albums" -- whatever that means -- for the last five years, the sextet remains remarkably deft at crafting singles as potent as the fizzing, lighter fare with which it made its mark. 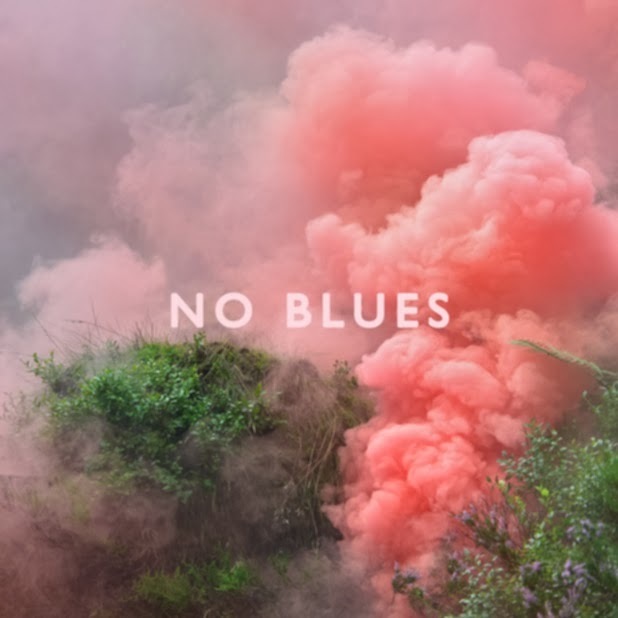 No Blues' singles are the undeniable anthem "Avocado, Baby" and the bubbling, mid-tempo gem "What Death Leaves Behind." Many songs could claim highlight status on No Blues, as strong as it is, but perhaps the most obvious single would have been "Cemetery Gaits," which both puns on a Smiths classic and builds a droning, synth-spangled verse from a guitar part that recalls The Cure's absolutely crushing "To Wish Impossible Things." The album closes with the fittingly final-sounding "Selling Rope (Swan Dive To Estuary)," an uptempo confessional that is remarkably bright and cheery given the events described and the troubling, irksome possibility: might this be the last recorded song we hear from Los Campesinos? In terms of theme, it reminds of Frightened Rabbit's devastating "Floating In The Forth," with its imagery of flinging one's self into a body of water to end things. "Selling Rope" seems to describe a suicide ignored: "there's no ticker-tape, no golden gate, no carnival and no parade, just one, one for sorrow." We're hopeful that the excellence of No Blues gains whatever recognition and success is necessary to ensure that Los Campesinos! doesn't slip from our figurative grasp, and into a sea whose bottom is already littered with the wrecks of countless rock bands. Because losing Los Campesinos! would hurt to a degree not inverse to the deep joy its music has brought us.